James Lloyd Wright, Jr., age 72, resident of Somerville, Tennessee, departed this life Sunday morning, March 24, 2019 at St. Francis Hospital in Bartlett. James was born June 3, 1946 in Memphis, Tennessee, the son of the late James Lloyd Wright, Sr. and Bettye Marie Johnson Wright Hardin. He received his education in the Shelby County School System and served his country in the United States National Guard. 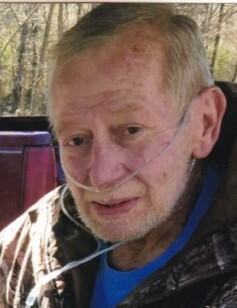 He was of the Baptist faith and enjoyed outdoor activities that included being in nature, working in his yard keeping a beautiful lawn and landscape, fishing and feeding birds and squirrels. He loved music, dogs, art and making unique things with tree bark. Mr. Wright is survived by his daughter, Sharon Del’Homme of Missouri City, TX; three sons, Jeff Wright of Houston, TX, David Wright of New Orleans, LA, Terry Winsett of Collierville, TN; his sister, Carol A. Lawson of Somerville, TN; ten grandchildren and a host of nieces and nephews.